Looking for a general primer or quick tactical reference on social marketing? We wrote the 2018 version of the Social Media Pocket Guide for you. In engaging, easy-to-read chapters, the Pocket Guide provides a broad overview of social media’s evolution — including current themes like pay to play, digital integrations, social care, and more. We also break down the latest tips and tactics for the four most common social objectives and explore specific use cases like product launches, events, and capitalizing on real-time trends. Do you learn by example? This guide is packed with fresh strategy inspiration from 15 different global brands and media properties. 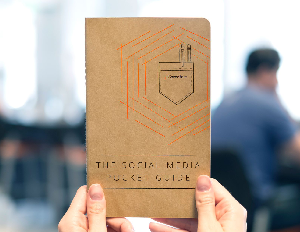 Keep The Social Media Pocket Guide on hand as your quick and definitive reference on all things social strategy.